Val brings us another episode of the GamesFirst! Weekly Wrap-Up, packed full of all the best stuff going on in the gaming world. This week, we take a look at two books out now about hacking the PSP: One is great, and the other is not. We also test the Altec Lansing AHS302i headphones, which are well-priced even if not so well-fitting. Finally, we get to the games with a review of Legion Arena for the PC and a preview of the Final Fantasy XI Beta for Xbox 360. Download the latest episode of the GF! Weekly Wrap-Up right here. The Atomic Goddess is back, and this week Val spends some quality time with Dead or Alive 4 on the Xbox 360 and The Movies, out now for PC. Val also takes a peek at Shadow Hearts 3: From the New World for PlayStation 2. And, of course, there\'s a roundup of the biggest news of the past little bit. It\'s eight minutes of high-quality podcasting goodness, so dig in, gamers! This week in the Wrap-Up, Val Townsend, the Atomic Goddess, takes gamers on an audio adventure through the recent history of video gaming. In addition to a summary of recent news, Val has reviews of Kameo: Elements of Power (XB360), Cuban Missile Crisis: The Aftermath (PC), and those cute little GelTabz (multi). Rounding out this week\'s podcast is a preview of Square/Enix\'s Code Age Project, which spans games on mobile phones, PS2, and a comic book series. Serve yourself up a heaping helping of steaming hot podcast goodness, right here. This week in the Wrap-Up, Val checks out the biggest gaming news of the last couple weeks, catching us up on any news we missed while we were stuffing our gullets on stuffing and gullets. She also checks out reviews of PoPoLoCrois for PSP, Kosumi for PC, and Call of Duty 2 for Xbox 360 and PC. After all that, she serves up a tasty preview of Chromehounds, coming soon to Xbox 360 from the makers of the legendary Armored Core series. Get the latest podcasty goodness from your pals at GF! Val Townsend, the Atomic Goddess, is back again with lucky podcast number 13. This week, we take a look at the latest news, including speculation on Nintendo\'s recently hinted \"secret\" regarding the upcoming Revolution console, as well as Clinton and Lieberman\'s Family Entertainment Protection Act. We also have reviews of Perfect Dark Zero and King Kong. Finally, we take a look at Dreamcatcher Interactive\'s cult-hit Painkiller, coming to an Xbox near you in January. Download the latest audio offering from your pals at GF! right here. 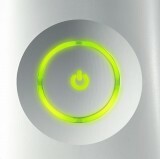 This week in the Wrap-Up, we take an in-depth look at the Xbox 360. We\'ve been playing our 360 all weekend, doing our best to work through as many launch titles as we can so we can bring you the latest word on the Xbox 360 lineup. Join Val for hands-on looks at Perfect Dark Zero, Condemned: Criminal Origen, and Amped 3, as well as a look at the new features of Xbox Live and a roundup of the media capabilities of the Xbox. Here it is, another episode of the GamesFirst! Weekly Wrap-Up. This week Val takes a look at the latest news stories, as well as reviews of Shadow of the Colossus for PS2 and GameTap, the new broadband gaming service for PC. She also has a preview of the very intriguing second-generation Xbox 360 title, Crackdown, which comes from the creator of the original GTA and Lemmings. You know you want it, and it\'s right here. This week in the Wrap-Up, Val Townsend, the Atomic Goddess, takes us for a ride through the wild world of videogame news. It\'s a beautiful thing: reviews of Far Cry: Instincts and Shin Megami Tensei: Digital Devil Saga 2, plus a preview of indy game effort Project: Offset, which looks incredible. All of that, plus the latest news in the gaming industry makes this the best 7:37 you\'ll spend this weekend. Get ready for a spook-tastic episode of the GamesFirst! Weekly Wrap-Up. This week, Val takes a moment away from creating Halloween mayhem on the radio to bring you a roundup of the scariest gaming news, reviews of Evil Dead: Regeneration and Stubbs the Zombie: Rebel Without a Pulse, and a preview of Capcom\'s upcoming Xbox 360 title, Dead Rising. It\'s a podcast chock full of gory, gory goodness.